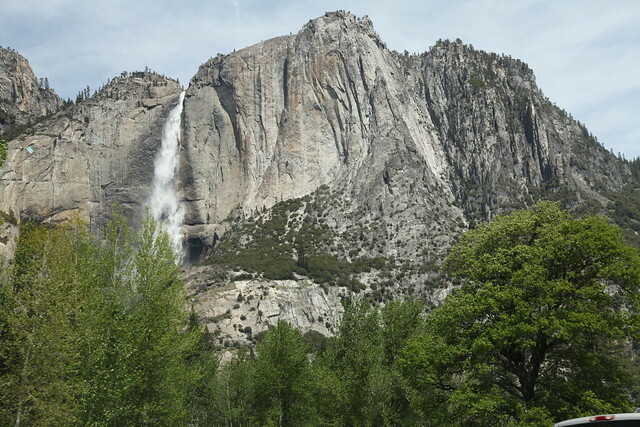 Yesterday Joshua and I came home from an overnight trip in the Yosemite area. We spent all day Thursday in Mariposa, where I had meetings with my clients and Joshua looked after Tucker and Mr. Big. After my meetings, Joshua, myself, the dogs, and my coworker headed to the Tenaya Lodge for the night. 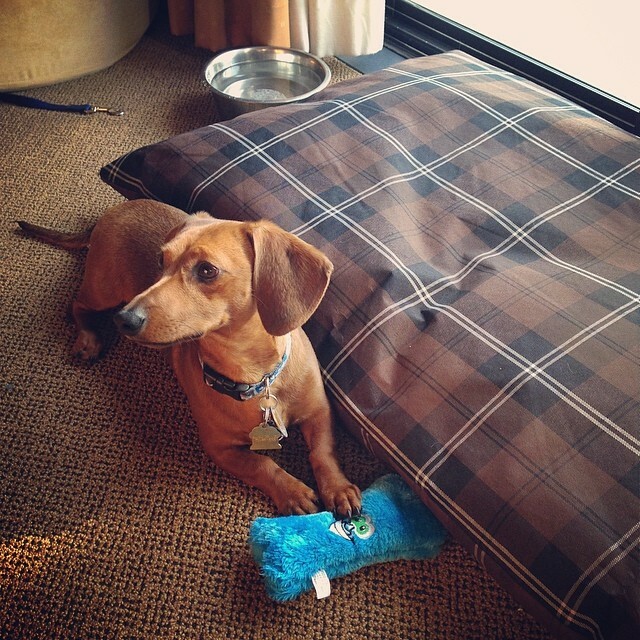 We stayed in the ‘pet friendly wing’ at the Tenaya. They provided us with a complimentary bed, toy, water dish, and Greenies bone. We had access to a lawn for the doggies to do their business right outside our room. It was the first time we’ve stayed in a hotel with the dogs, and overall they did very well. 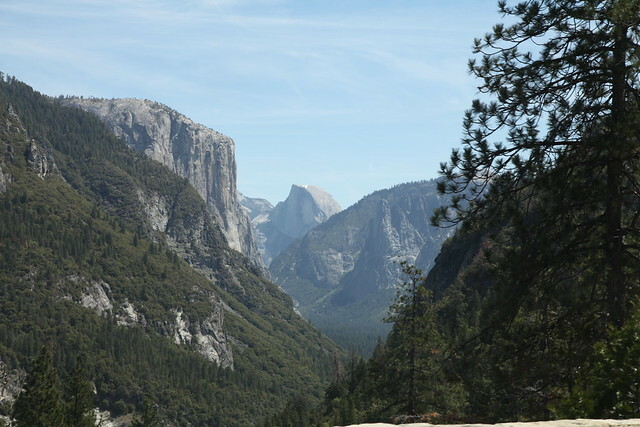 Yesterday after we checked out of the hotel we spent the afternoon in Yosemite. 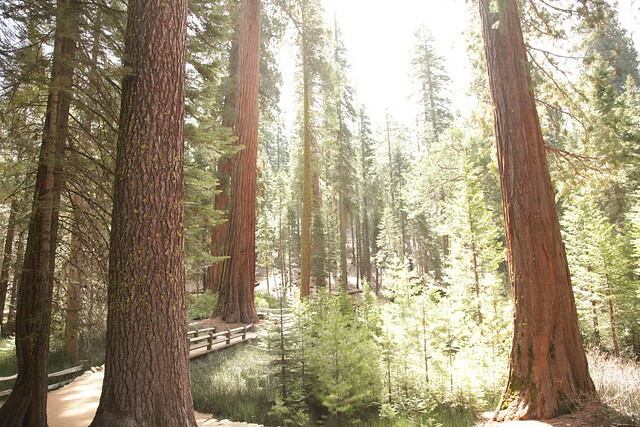 Our first stop was the Mariposa Grove. My coworker and I snapped a few photos and then got back in the car to head to the Valley. We were looking forward to taking the dogs around Yosemite, but unfortunately we found out quickly that because Mr. Big is under 20lbs he wasn’t allowed where dogs are normally allowed. We drove throughout the valley for a little while and then headed home. Overall we had an awesome time, and despite not being on a cruise this week it was still nice to getaway for a day or two.